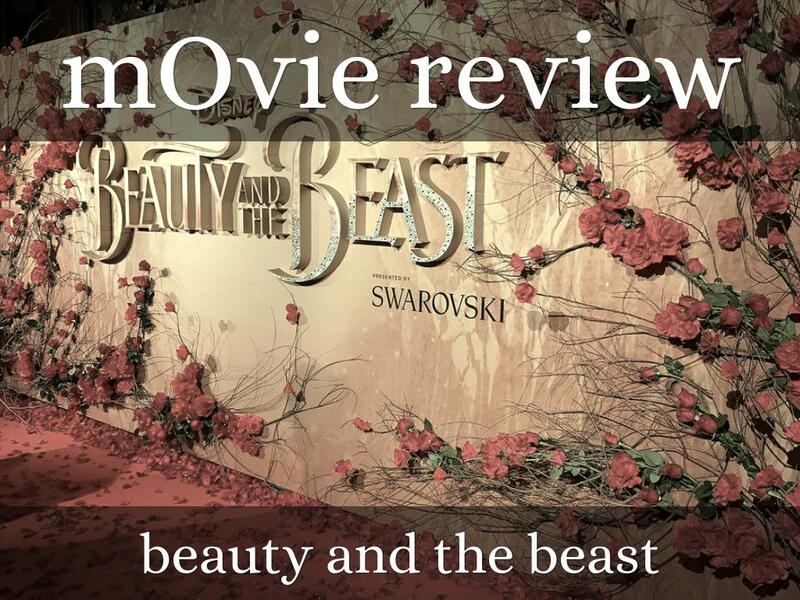 Beauty and the beast is a good and intresting movie and it is funny and she is a princess that marries a beast. 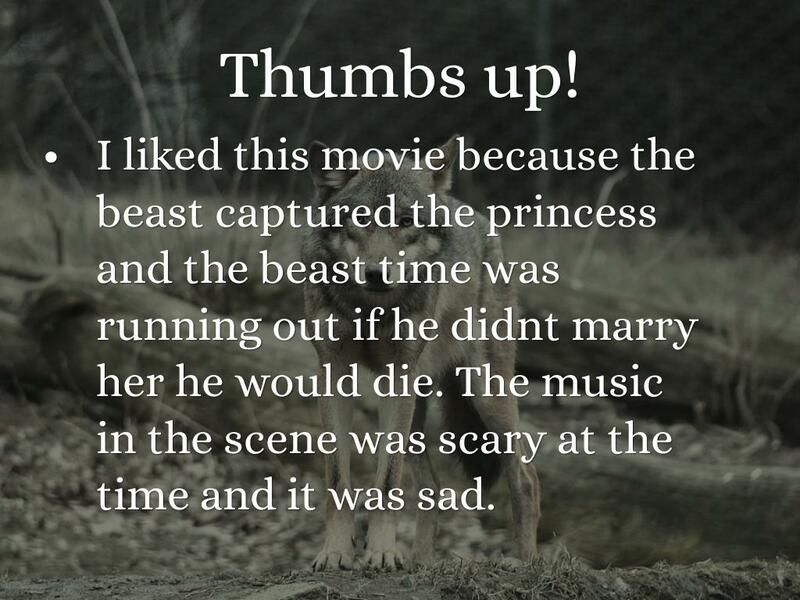 I liked this movie because the beast captured the princess and the beast time was running out if he didnt marry her he would die. The music in the scene was scary at the time and it was sad. 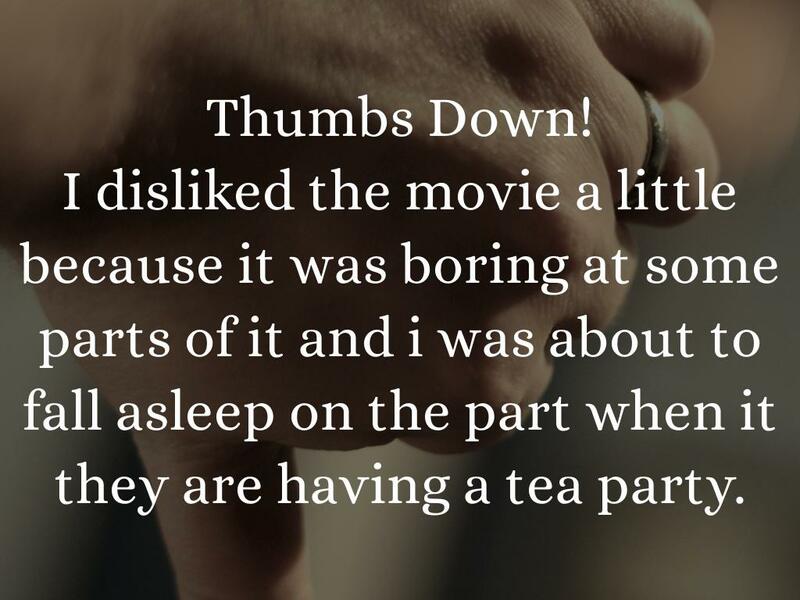 I disliked the movie a little because it was boring at some parts of it and i was about to fall asleep on the part when it they are having a tea party. I really don't like this movie and i kinda do because half of the movie is boring. 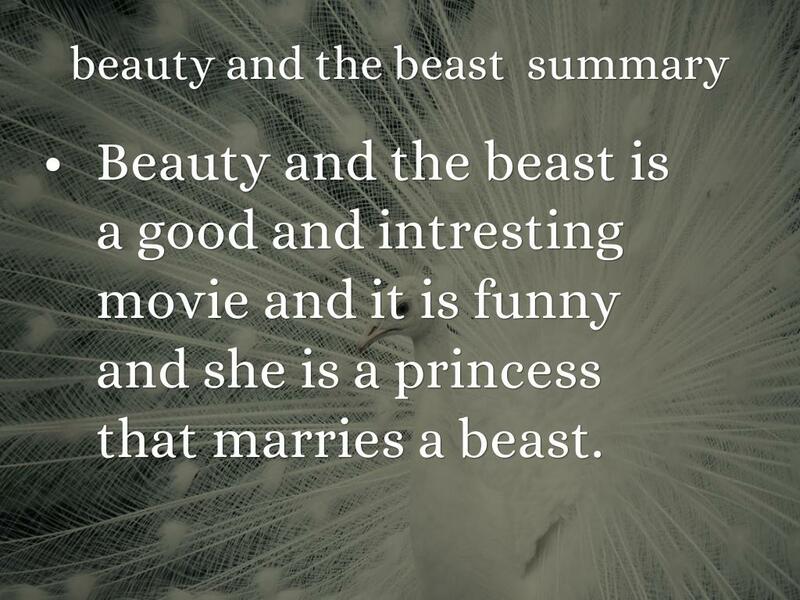 The only part i liked is when the princess and the beast live happily ever after. 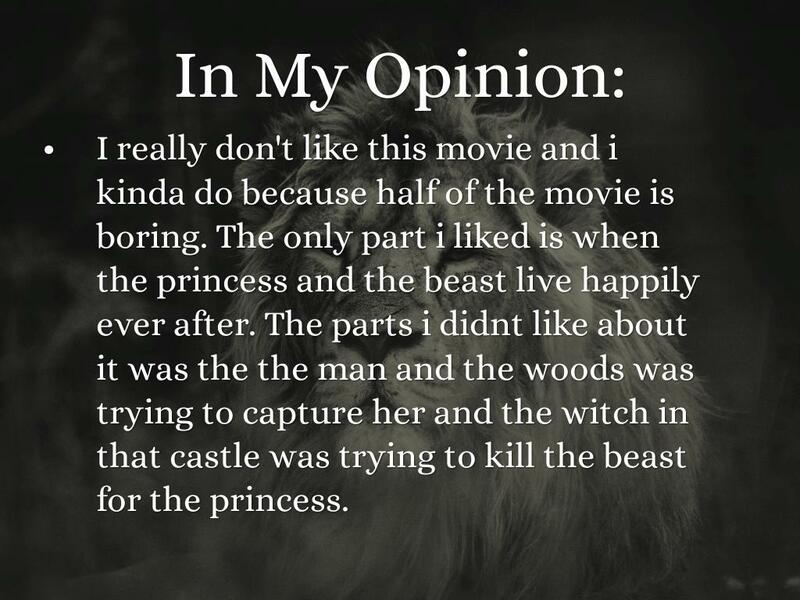 The parts i didnt like about it was the the man and the woods was trying to capture her and the witch in that castle was trying to kill the beast for the princess.